Nitin Govil is Associate Professor in the Department of Critical Studies and received his MA and PhD in Cinema Studies from New York University. Prior to joining USC in 2012, he was on the Media Studies faculty at the University of Virginia, the Communication faculty at the University of California, San Diego, and held a visiting appointment in the School of Arts and Aesthetics at Jawaharlal Nehru University. His research and teaching focuses on comparative media and contemporary cultural politics. He is the co-author of Global Hollywood (2001) and Global Hollywood 2 (2005). Other work has been published in journals like Cinema Journal, Television and New Media, BioScope: South Asian Screen Studies, Radical Philosophy, and the International Journal of Communication. 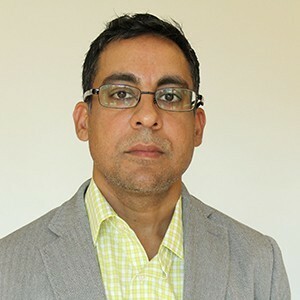 His work has also appeared in book collections that include Media Industries: History, Theory, and Method, No Limits: Studies of Media from India, The Contemporary Hollywood Film Industry, Television Studies, The Bollywood Reader, Media/Space: Place, Scale and Culture in a Media Age, the Sarai Reader series, and Contracting Out Hollywood. His writing has been translated into Chinese, Portuguese,Spanish, and Turkish. He is currently completing two books, a co-authored study of the Indian film industries and a book on Hollywood in India – both will appear in print in 2013.